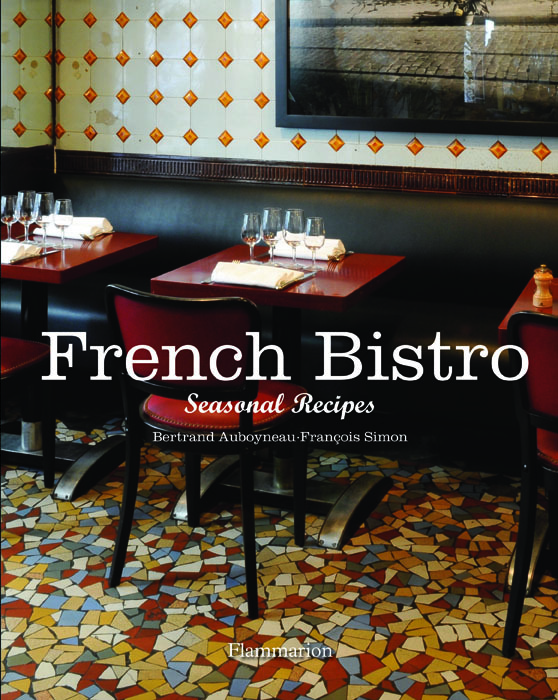 ‘French Bistro: Seasonal Recipes’ is the newest insider guide to classic Paris bistro food, and it introduces us to the thirteen best and most authentic Paris bistros. 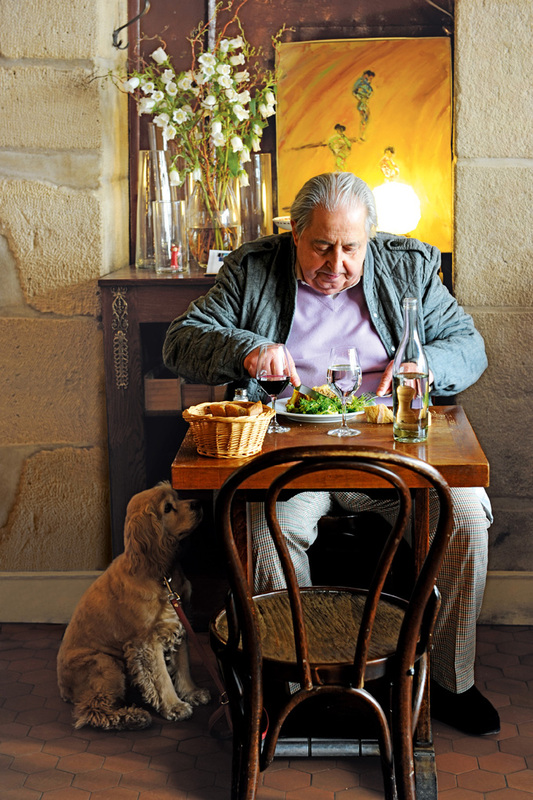 The author is the beloved owner of one of my favorite bistros, the Bistro Paul Bert, in the 11th. Genial author Bertrand Auboyneau details the (handsome) chefs, the seasonal menus, the highly original and sometimes eccentric wine lists, the authentic timeless décor, the vivid scene, the concept, the recipes, and…the food. Cuisine is too fancy a word for these heart-and-soul, seasonal, fresh, revelatory, inspiring, and not-too-expensive dishes. 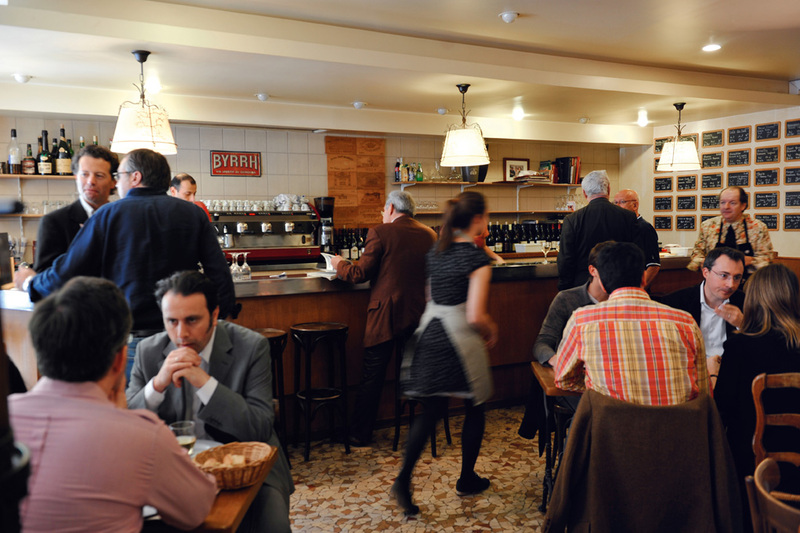 What is a bistro without guests? A song without words, a film without music. The guest gives the cue for the show to begin. When the client arrives, the kitchen is set in motion, picking up momentum as the dining area fills. The saddest thing that can happen to a restaurant is for it to be empty. The chef is down at heart; the owner panics; fresh produce goes bad; and the bank manager grows impatient…. With FRENCH BISTRO: Seasonal Recipes you can plan your own gastronomic Paris trip—and you’ll feel like a Paris bistro regular. Perhaps you can even ask the chefs to sign your book. Yes! And if you’re not heading to Paris for the moment, the book has sixty straightforward recipes including appetizers, seafood, hearty meat dishes, tarts, deserts, all classic, traditional, not fussed-over. Wafts of fabulous ingredients will fill your kitchen. Delicious, easy. You could almost cook from the pictures, which are very beautifully styled. In a few minutes, the bistro will open. The tables are standing at attention, and the chairs are lined up. But you’ve just missed one of the crucial moments in the life of a bistro: the arrival of the day’s produce. Not long ago, crates of fruit and vegetables and hunks of meat were being ferried into the kitchen. Now, it’s the quiet before the storm: the guests are about to arrive! 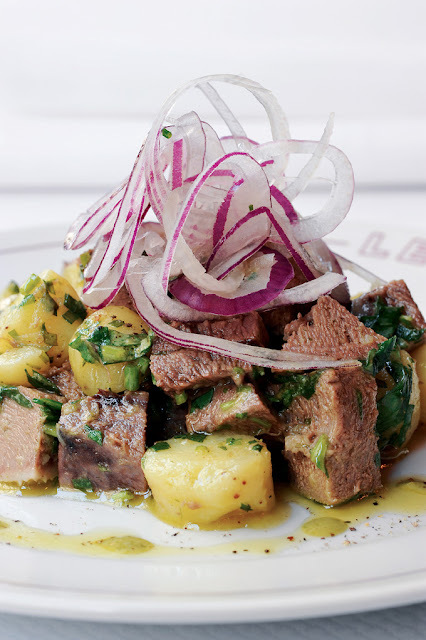 Flammarion’s FRENCH BISTRO: Seasonal Recipes is out just in time for planning your dream trip to Paris. I’m using it to plan my spring trip to Paris next month. It’s a highly detailed and very helpful look at the most authentic and atmospheric bistros, including my favorite, Le Barratin in Belleville (with a woman chef), along with the Bistro Paul-Bert and Le Villaret, and of course everything by Yves Camdeborde, including Le Comptoir and as well, L’Ami Jean. The book has 60 recipes. 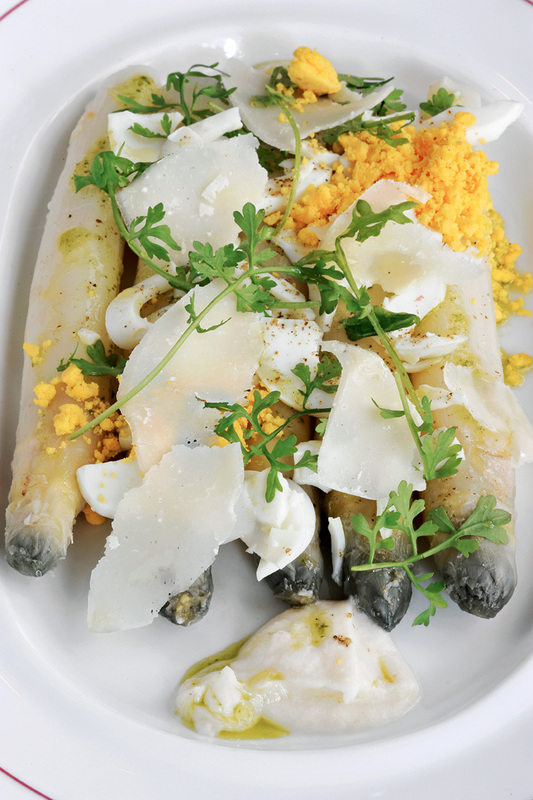 As you know, I don’t cook, but I do love looking at the book’s glorious pictures of plates of white asparagus, seasonal salads, haricots verts, and lovely savory tarts (and I admire the glistening steak dishes, though I’m a vegetarian). Highly recommend. Thierry Laurent, the exemplary Paul Bert chef, allows the fame of the bistro to take center stage while he works in the background. His ingenuity provides the Paul Bert with its remarkable seasonal menus. Flammarion’s FRENCH BISTRO: Seasonal Recipes, is the definitive guide to the true Parisian bistro from two of the highest authorities on the subject, a restaurant critic for Le Figaro, and a bistro owner, straight from the heart of the Parisian gastro bistro scene. I arrive at Bistro Paul Bert and Bertrand Auboyneau, generally rather sanguine, comes to greet us when we arrive, gives me a peck on both cheeks, and finds the perfect table. Glasses of wine are quickly sent, wine lists and menus appear. It’s the start of a beautiful evening. François Simon, the book’s co-author, with Bertrand, first sets out the Ten Commandments for what makes a truly good bistro—starting with the seasonal menu, and the authentic funky décor (nothing modern or hard-edge or over-styled or over-lit). 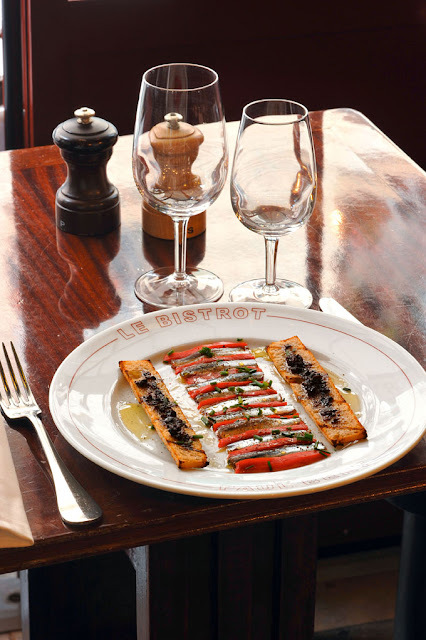 The book takes readers through a tour of the most archetypal bistros spread throughout the capital. The authors propose that the owner is the key to everything. He and the chef and the wine list and the bar are the solid foundation of a bistro. It really is a small world. 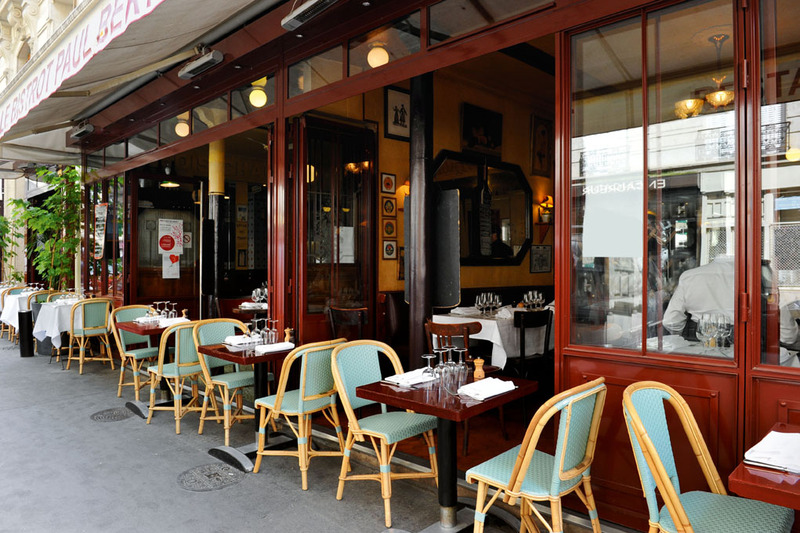 Christophe Acker, the owner of this bistro in Boulogne- Billancourt, just west of Paris, used to work at the Paul Bert. So you’ll find the same jovial reception and down-to-earth cooking: egg with mayonnaise, hanger steak, blood sausage and apple, an enormous entrecôte served with homemade French fries. 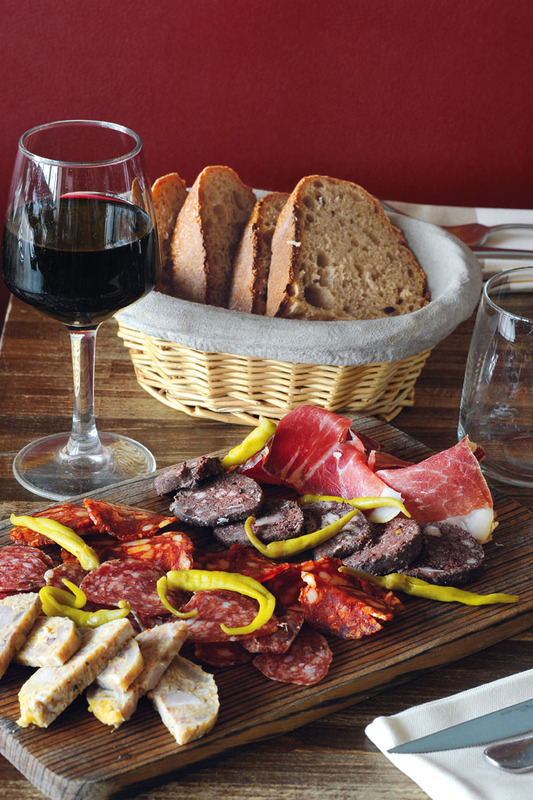 The easy-to-drink wines are there, too—in short, you’ll find everything that comprises the perfect bistro. The chef is expert at creating a menu with the vegetables and fresh fish and beautiful meats he finds at the markets. You won’t see tomatoes here in winter—but you will find fantastic mushrooms and game and beautiful potatoes. The inspiration of a bistro menu responds to the whims of nature. 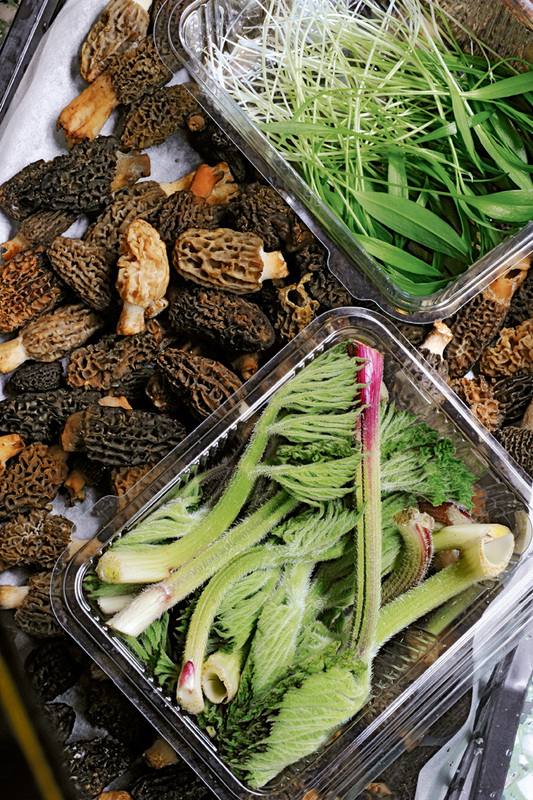 Morel mushrooms, seasonal vegetables, a crisp head of lettuce, fine olive oil… and a new dish is born. 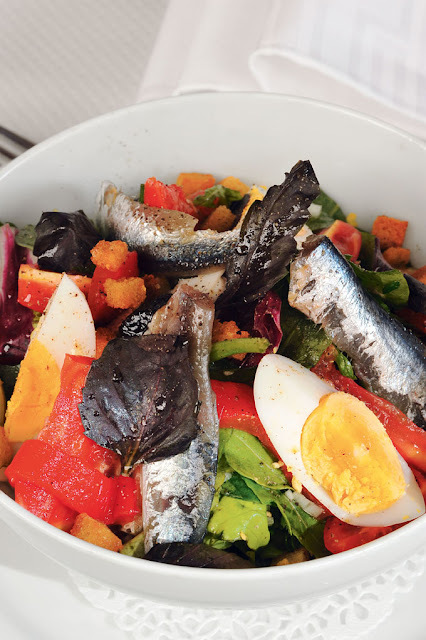 The great feature for me at these bistros is that chefs create flexible and wonderfully inventive menus, so that you could make a wonderful dinner from a beautiful plate of white asparagus with vinaigrette followed by perhaps an elegant plain omelet with a green salad. Or a glorious, glistening sole Meuniere, super-classic (I've enjoyed it, in season, at Paul Bert), or Monkfish with Green Asparagus (I've had it at Le Barratin). Divine. Or you could do a tribute to seafood, with oysters from Brittany and fresh prawns or a fritto misto of fresh sardines or little crayfish. Then there’s the cheese tray. It will be perfect (ripe, fresh cheeses, usually from a farm) and you’ll ask the waiter for a suggestion of a wine to accompany. A few years after opening the Paul Bert, Bertrand Auboyneau and Gwenaëlle Cadoret decided to open another bistro, one specializing in seafood. They maintained the same décor and introduced a nautical theme, elegantly combining vintage Breton bric-a-brac, ceramics, and woodwork with marine paraphernalia. Each bistro has a distinct feel and ambience; its own manifesto: sedate and refined at L’Écailler du Bistrot, exuberant and lively at the Paul Bert. Then there’s the essential chalkboard with its selection of the most characteristic bistro recipes. Smart diners order only from the chalkboard as these are the daily specials, and everything is ultra-fresh and superbly prepared (simple, with great respect for the ingredients). 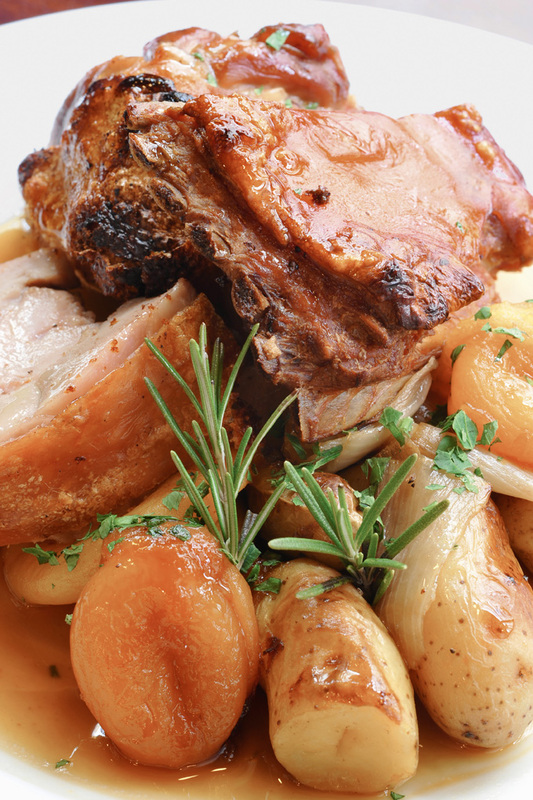 Recipe from the Paul Bert, Roasted Suckling Pig with Dried Apricots and Touquet New Potatoes. Wine holds everything together. Ask the waiter or the owner for suggestions—you can’t go wrong. Be adventurous. Order something you’ve never heard of. 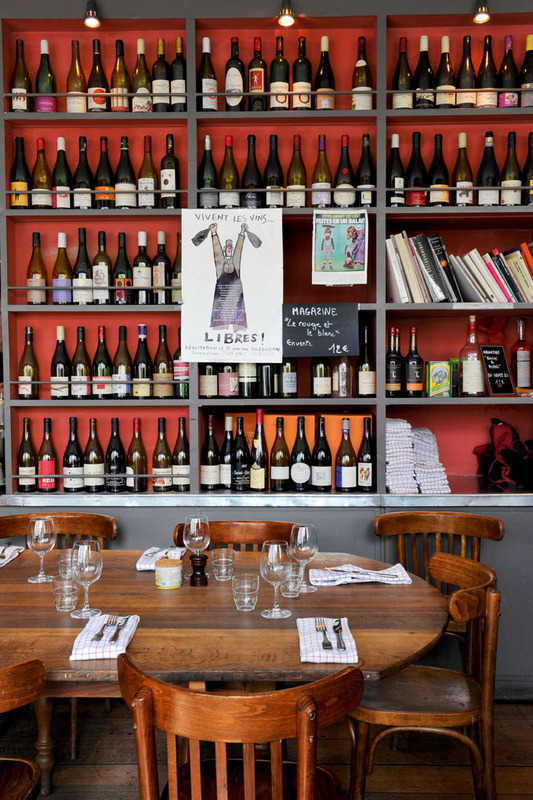 Since most bistros buy directly from very small and quirky and insider producers, you’ll enjoy a wine/ wines by the glass that are perfect for the season and that taste of a specific terroir. Chat with the waiter about it. Make a discovery. Walk into L’Abordage near the Saint-Lazare train station, and you’re certain to say, “Now this is what I call a real bistro.” The decor, the style, the entrecôtes, and the traditional andouillette all speak of an authentic, traditional establishment. The owner, too, is true to type, and Bernard Fontenille knows what it takes to keep his guests happy. In the book, the authors insist that friendly and chatty waiters are important (you can chat in French or English, they’re busy but they’ll stop and help you choose). The ambiance will be bustly and everyone is in it together. That's what it is all about—leaping boldly into the scene, enjoying it fully. Perhaps chatting to the people at the next table, checking our their plates. Getting a little loud (in a good way) is fun. And laughing, smiling, sipping, eating, grabbing some more bread, chatting (putting away the dreaded iPhone images) and wining and dining on into the night, becoming best friends with the owner's dog, and loving it so much that you return the next day. You are the creator of your experience here...just as much as the waiter or the chef is. This is such a generous, jolly, and informed book. In the Appendix are lists of the classic Paris bistros, plus a list of the Paul Bert’s suppliers (in case you want to open your own Paris bistro). 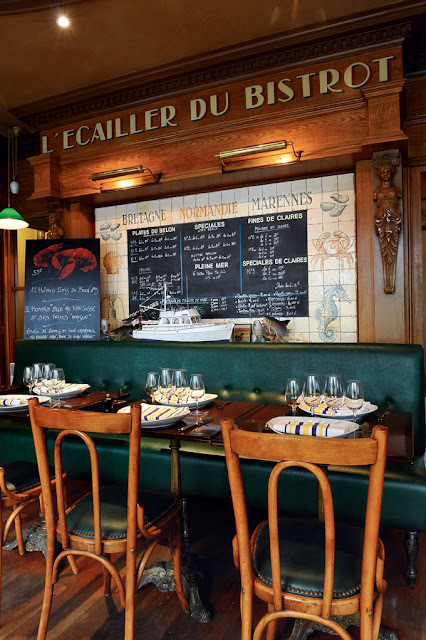 There’s even a list of places where you can find elements of Paris bistro décor. This bistro near the Parc des Buttes Chaumont in Paris holds all the playing cards. 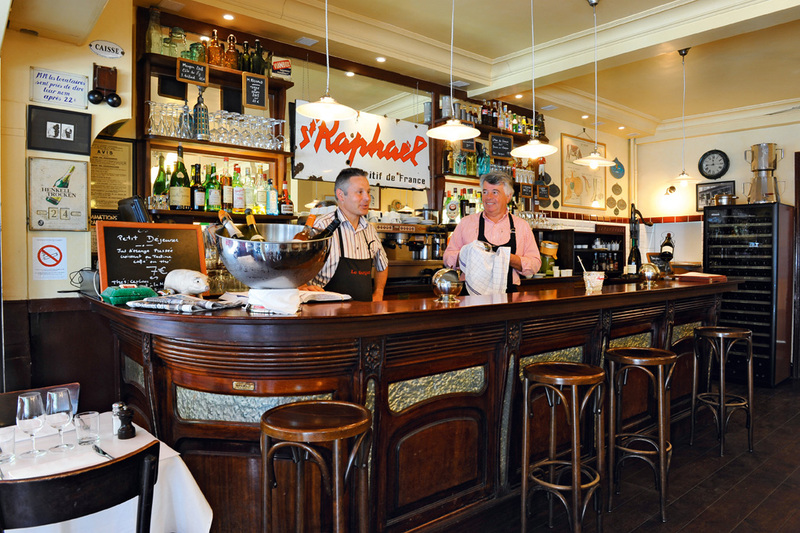 Gilles Bénard is an experienced bistro owner, having created the Ramulaud and then Les Zingots on rue du Faubourg Saint-Antoine. In the kitchen, his son Léo is always at work. Léo trained with Raquel at the Baratin and produces food of deceptively brilliant simplicity, like cod tart, pork chops with homemade mashed potatoes, and Basque terrines and charcuteries—all accompanied by his father’s outstanding wine selection. 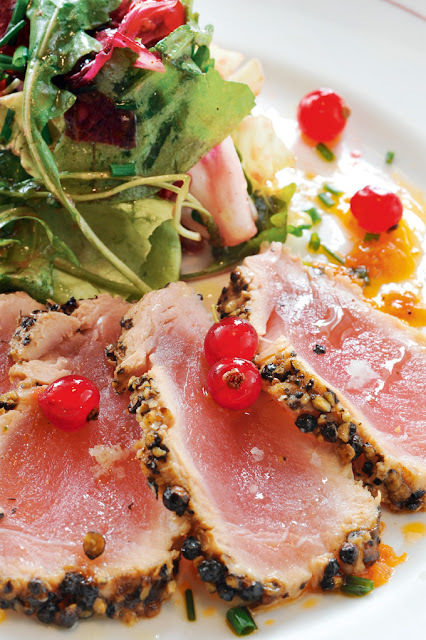 You can start planning your next culinary vacation to Paris with FRENCH BISTRO: Seasonal Recipes at your side. Before setting out on your next Paris jaunt, you could select your favorite bistro, and even choose the table where you’d like to sit. You might even check out the chalkboard menu…though we can’t promise that the dishes you love will be on the menu when you arrive. Have a great adventure—and be sure to send me details. I’d love to hear all about it. Photography by Christian Sarramon, who also photographed the images for ‘Paris Patisseries’ (also published by Paris-based Flammarion), which I featured last year. Find it in THE STYLE SALONISTE archive (look for SEARCH) on the right-side column). All photography used with permission of the publisher, Flammarion. What an interesting read. I'll have to get my hands on this book as I'm planning a trip to Paris in the fall. Thanks for posting. what a great choice for a delicate taste bud. I must get a copy for my pilot chef and get him prepared once again for Paris this fall. I hope you've had a wonderful Easter holiday! Perfect timing! I'll get the book too, and use it soon in Paris.. as always, interesting post and so useful! I love your book selections, and I promptly order. I will place my order for this now...I love the bistros of France, and for listening at home and in the gallery I have traditional bistro music on my Ipod -Stephane Wrembel and others. This book, like your selections from last Fall, looks like a treat! YES...this book would be a fantastic guide--as all the addresses and detailed information are there. Don't forget also PARIS PATISSERIES book that I wrote about earlier which is a fantastic guide to the Paris pastry shops...in detail, with all addresses. Look for information on this book on THE STYLE SALONISTE ARCHIVE (look for SEARCH on the right column. How lucky!! Your wonderful husband is a pilot/ very senior I might add...and he cooks. Great combination. He will love to recipes...very straightforward, not obscure and you can add your own touches. Hello, Kit-yes, this is an essential guide for your reference. You will find it helpful--lots of information--and anyone who reads it is an instant insider! I like that these are NON TRENDY...but they feel right now...and they are not overly designed (in fact some of them look as if the chairs were from the flea market...which is great). Hi Philip-YES, you will like this because it is FULL of information and ideas and inspiration. It is a very GENEROUS spirited book...there is a lot to learn...about wine lists and seafood and sources and people and locations...and it is a very accessible book. I do love the photo of the old man dining alone with his dog...that tells you a lot...the book is broad and spirited and very embracing..
Am drooling over your descriptions and images!